What is this site for? Is it "Official"? A brief word about why I built the site and how I see it. As you may know or have read in some of the other pages, the original Dunnett pages were built up as part of the James Thin bookseller's site, which I built in the mid-1990s. 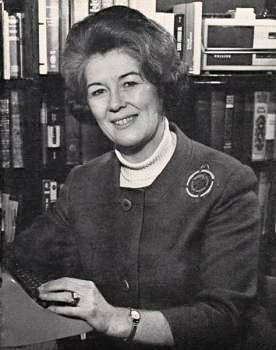 The early versions were created with Dorothy's help and support and served both as a means to spread information about her books and their availability (and obviously to sell them) and also to help her by answering many of the common questions that she would be asked by her many correspondents, thus taking some of the pressure from her. It was a delight to work with her and share some of her insights with the readers. With the advent of the newsletters it also branched out to contain some of my own thoughts on the books as well as keeping readers in touch with developments. After she died and then shortly after that James Thin went into administration, the Thins site was closed down, and I decided to rebuild the Dunnett section as a separate site, completely rewriting it and then later adding a blog to replace the newsletters. By then the DDRA, later to be renamed the DDS, had developed and I was able to publicise their activities along with the various Dunnett gatherings organised by Simon Hedges and others in places such as Malta, Paris, Istanboul and Venice. The DDS of course have their own website now and this forms a focus for members. So what is this site for and why do I keep it going? What she wanted the Companions to do was to show the original research that she had carried out and which was not available in any other form, and to collate some of the history which was otherwise scattered across many different works, many of which would not be available to the average reader. I believe the Companions fulfilled those goals superbly well and it is in something of that spirit that I maintain this site. She also believed that people didn't want things too easy! Half the fun comes from exploration, from real learning and delving into the subjects which her writing inspires - whether that be Renaissance art, Venetian glass-blowing, ciphers and early banking, the history of trade or the development of dyeing. If everything is just handed over on a plate then that expansion of the mind, which is so typical of the stories I hear from readers whose lives have been changed and enriched by her writing, is lessened. So perhaps the key point of this is that word inspiration. This site is of course intended to commemorate her life and work, but also to help act as a source of inspiration, and in the articles, talks and blog posts provide a place for readers to react to those ideas that I and others come up with about her work. In that sense it has a wider focus than the DDS site which is naturally more concerned with its members. Having been closely associated with them and on their council for many years, I support what they are doing and encourage readers to join, but not everyone wants to be part of a group and I hope this site embraces those people too. I may say that I very much regret the dormancy of the old email discussion groups - Dunnetwork, Marzipan and the others - which contained many wonderful debates and threads in their heyday. The combination of erudite knowledge, humour, and tolerance made them a delight to read. These seem to have been largely replaced by a Facebook group, but quite apart from my strong dislike of the privacy aspects of Facebook, which mean that I do not and never will have an account with them, I do not believe that it is as suitable a forum for the sort of discussions we used to see on those groups. I do take part in Twitter, which is a very different system and demands concise and tightly focused comment, but more to lead readers into further discussion or investigation. So I hope that in some way this site will help you to be inspired by Dorothy's life and work. If you have been, and would like to share anything that you've discovered, then I'll be happy to display any fruits of what you've learned if you wish to send it to me - whether articles discussing the characters or the history, or travel descriptions or photographs of the many places that our characters visit in the course of the books. I look forward to hearing from you all - whether long-time readers or neophytes discovering the delights of Dunnett for the first time. I can be contacted here.